Our stairlift company is collective of amazing people striving to improve mobility. Stairlifts Access are the countrys leading and most reliable stairlift installer and provider. We specialise in supplying and installing straight, curved and reconditioned stairlifts throughout Dublin. You can either buy or rent. We usually can have a stair lift installed within a week (from time of enquiry). The actual installation time is a few hours. No need to wait 6 months for a grant. Call us now on 01 525 5300. Or simply fill in the form below and we’ll call you. Thank you for taking the time to visit our site to learn more about our business and services we offer (installers of stairlifts, Dublin and throughout Ireland). We strive to be the best at stairlift installation in Ireland. 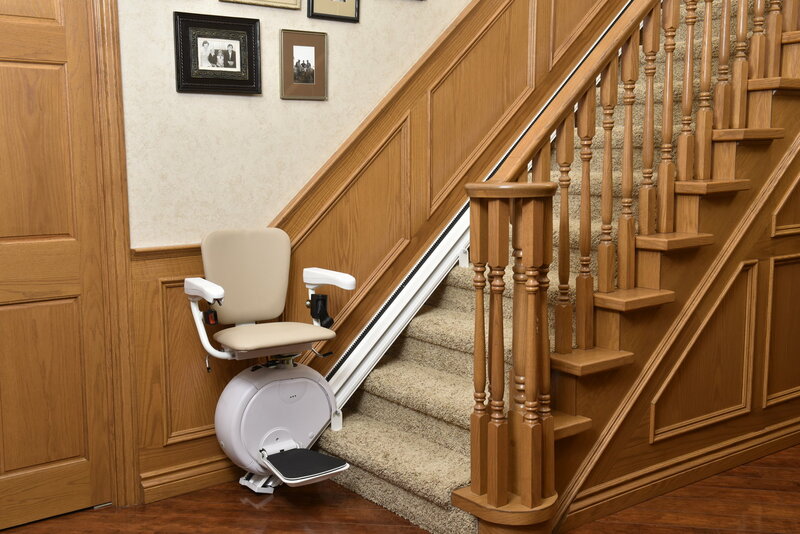 We’ve been serving Ireland now for decades and we are happy to have helped many homeowners and residents improve their mobility by installing stair lifts so they can access the whole house safely and with minimum fuss. Straight stairlifts are the most common type we install in Ireland. This type are installed on straight staircases. This is also the cheapest option as the rail required has no turns and can be bolted directly onto the stairs. Curved stairlifts will be needed if your staircase has any turns or bends. Curved stairlifts have tracks that are specifically designed to suit your staircase. Because of this curved stair lifts are more expensive that the straight option. So if possible try and get a straight one installed if the user can negotiate a few stairs at the turn. Failing that you can go for the reconditioned stairlifts option. There are many reasons why our customers decide to opt for a stairlifts purchase. Many find the stairs too difficult to safely negotiate multiple times every day. Others are recovering from an operation or injury and need one for a few months. Some have relatives visiting their home who need one installed.